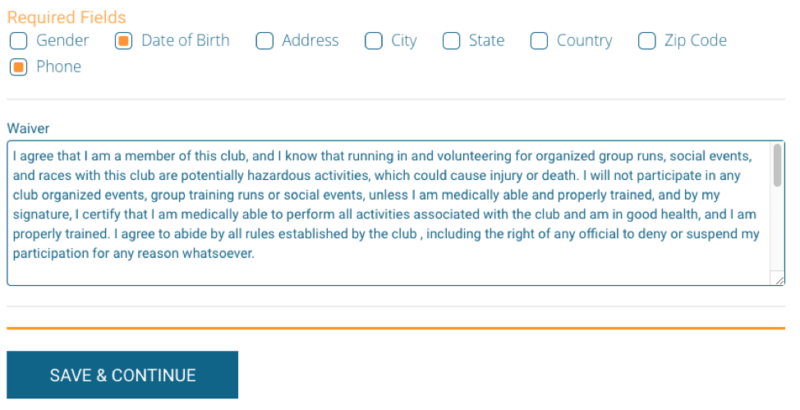 We have added the ability to customize which fields are required for volunteer and club registration. Before these settings were set at the race level and they could not be customized for volunteers or clubs only. *Please note – if required fields are not forced during club/volunteer registration they will still show during the volunteer or club registration process- they just won’t be required.